My dog LOVES her pet sitter! Pet and Property Sitters provide live in pet sitters to care for your home and pets whenever you're away. Our pet sitters offer professional pet sitting services throughout Northern England. With our live in pet sitters your pets stay in their own environment and routine. Live in pet sitters offer a less stressful alternative to boarding kennels, home boarding or pop in cover with a service that is especially beneficial for older, ill, rescue pets or those who simply demand a little extra attention! Our mature pet sitters move into your home and act as dog sitters, cat sitters, and horse sitters caring for a wide variety of other much loved pets. They also provide house sitting and will see to the day to day up keep of your property. Our service is fully insured and operates using established systems developed with the care of your property and pets in mind. 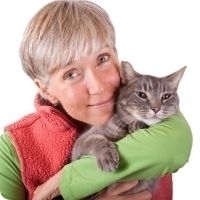 Pet and Property Sitters are a friendly, family business with nearly 20 years experience caring for a variety homes and pets. Our professional pet sitting and house sitting service brings security, well being and peace of mind to our clients. As pet owners ourselves we know how important it is to ensure that they are cared for properly by the right people and have a reputation for always going the extra mile for the animals in our care. We offer a local service provided by local people who know the area well and only operate throughout Northern England. Larger pet sitting companies based in the South are often unable to provide the personal service we offer. Likewise we are not an agency. We employ all our sitters, get to know them well and work with them on a daily basis. Pet and Property Sitters also specialise in caring for larger properties without pets with our house sitting services. We have experience in the specific requirements these assignments often bring and can offer a comprehensive house sitting solution tailored to your needs, whatever they may be. This service includes care for probate properties or property awaiting sale. Our office is based right at the heart of the area we cover and we have an excellent knowledge of the towns and villages where our clients and pet sitters live. Even so, this allows us a large coverage area. We can provide live in pet sitters in and around: Harrogate, Ripon, Leeds, York, Wetherby, Thirsk, Darlington, Durham, Catterick, Richmond, Leyburn, Masham, Sladeburn, Newcastle, Middlesborough, Sunderland, Hexham, Morpeth, Wakefield, Huddersfield, Bradford, Dewsbury, Shipley, Barnsley, Doncaster, Sheffield, Blackpool, Scarborough, Bridlington, Filey, Whitby, Easingwold, Pickering, Helmsley, Driffield, Hebden Bridge, Market Weighton, Hull, Beverley, Skipton, Ilkley, Keighley, Padiham, Bolton, Kendal, Windermere, Keswick, Carlisle, Morecombe, Whitehaven, Manchester, Rotherham, Chorley. We are also now able to cover Cheshire, Derbyshire, Northumberland, Northern Lincolnshire, North Wales and areas of Scotland. Please feel free to contact us to check if you are unsure if we cover your location with our live in pet sitters.